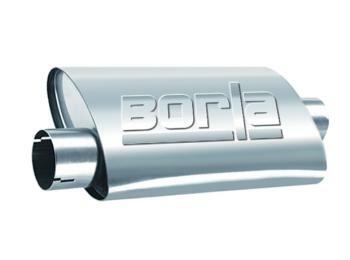 BORLA Turbo Mufflers are designed for supreme street performance, offering aircraft-quality high quality austenitic stainless steel, all-welded construction and more for increased horsepower and torque. Independent tests prove maximum flow capability. Turbo models are for smaller motors up to small-block V8s.